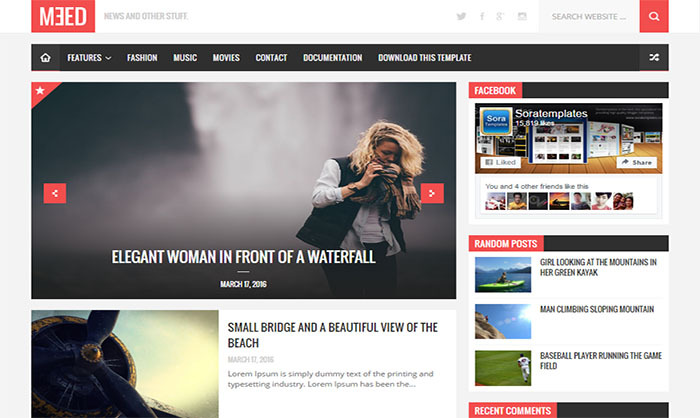 Meed Blogger Template is a great theme that brings an immersive experience for your viewer. It’s crafted for blogging. It’s very flexible and intuitive blogger theme for you, whether you’re a fashion blogger, beauty chaser, world traveler, adventurer or all of the above. It is just right for you. Meed is crafted to looks great on any device, and designed to present your content in a modern, minimal and elegant way. You loyal readers can easily browse your website content from any device because it has responsive and User friendly design.